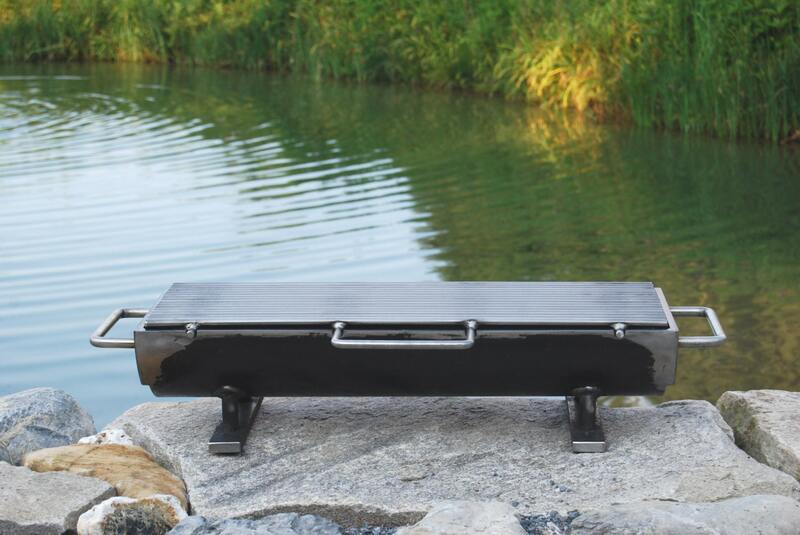 A serious hibachi grill, the "Hibachinator", with stainless steel handles and a carbon steel grill top. 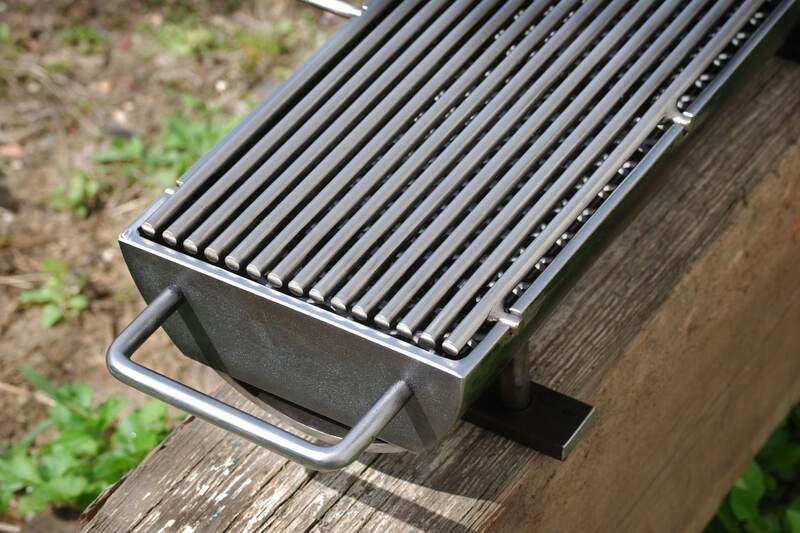 This grill means business with a 8" x 24" removable carbon steel grilling surface, and at a whopping 53 lbs. it won't blow over in a stiff breeze. With such mass, it can hold the heat, and deliver it right to the matter at hand: Grilling a meal. 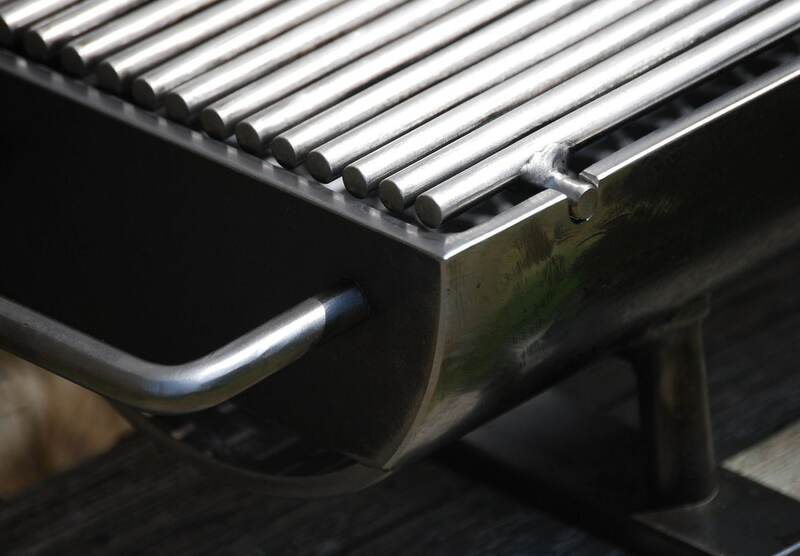 Made of welded steel, it is a solid grill that will outlast and outperform all competitors in its class, hands down. 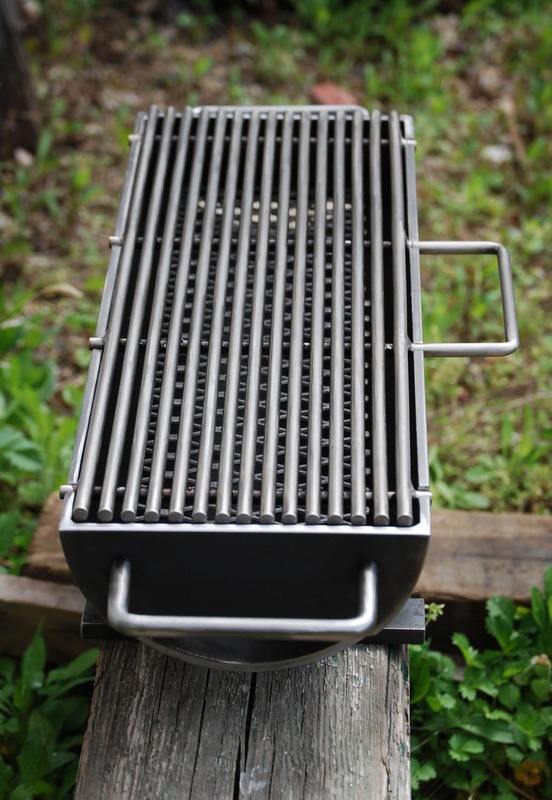 Whether you grill beef, chicken, fish, or vegetables, the "Hibachinator" will handle it all. 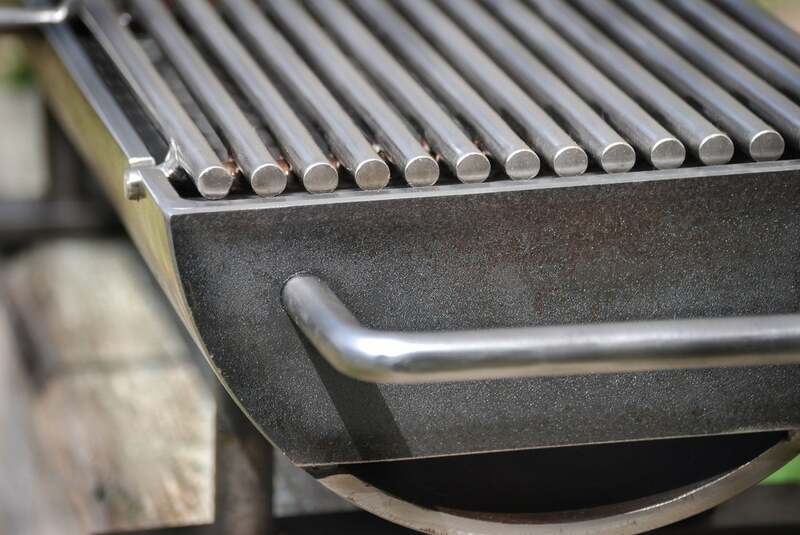 The grilling bars are set close so as to not lose those little things that fall down through into the coals.